Get Instant Discount worth SR 300 when you buy Samsung Galaxy Note 2. This exclusive offer is by Jarir Book Store. 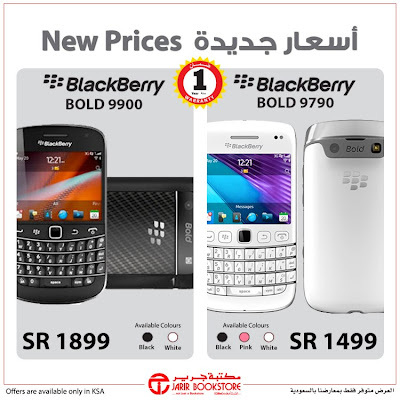 Jarir book Store is Offering you best Prices for your favorite BlackBerry smartphones. Now blackberry Bold 9900 is only in 1899 SR and blackberry Bold 9790 is only in 1499 SR With 1 Year Warranty. This Exclusive Offer is by Jarir available in Saudi Arabia. For HTC Smartphone Fan lover , There is agreat Offer by Jarir Book store. If You Buy HTC Desire C You have a free amazing bundle worth SR 395. Swarovski Pen, Car Charger and Bluetooth Head Set are Included in this Bundle. This Price of this HTC Desire C With free Bundle is Only 899 SR. 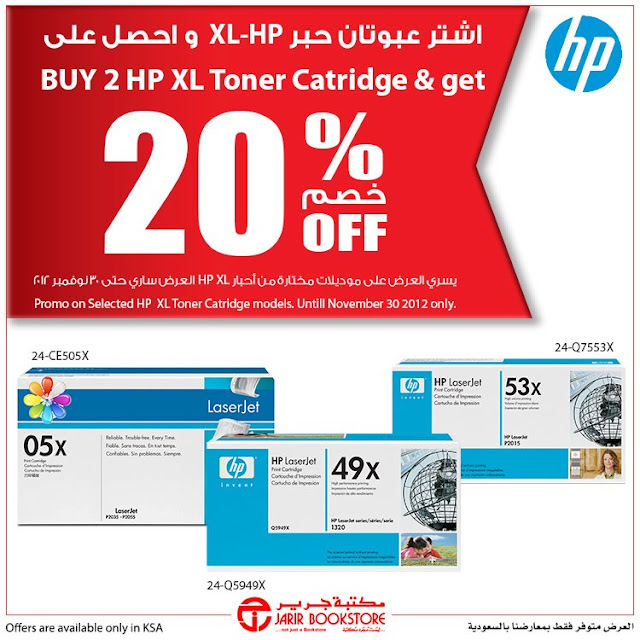 This Offer is Available in Saudi Arabia Only. 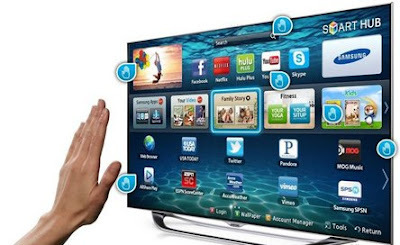 To see more Hot Offers and Best Deals of Mobile Prices Visit Sudi Prices Blog. 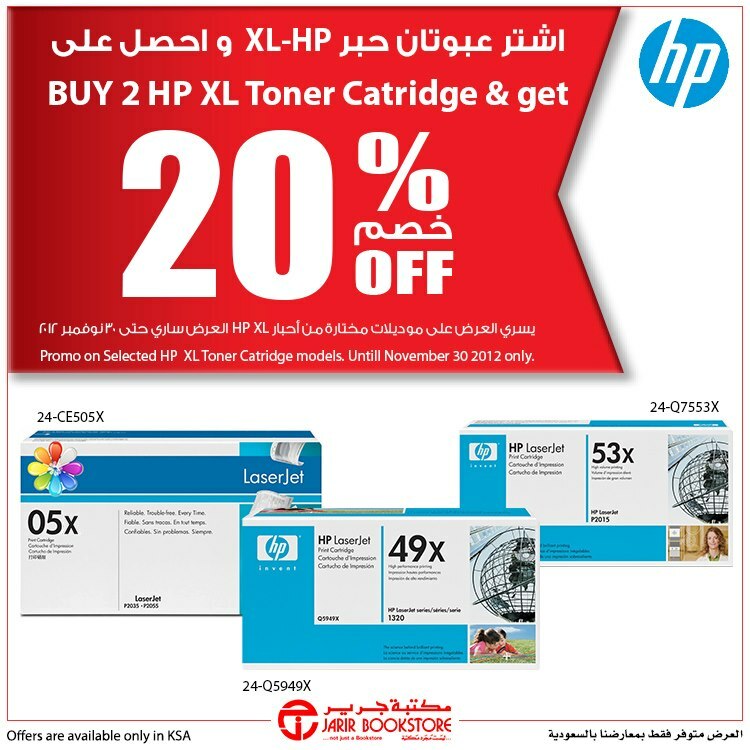 Jarir Book Store has a great offer, If You Buy 2 selected HP XL Toners You can get 20% discount. This Promotion is valid until Nov. 30, 2012 Only. To see more Hot Offers Visit Saudi Prices Blog.